The White House may have broken the law and President Donald Trump just tweeted about it. "Wacky Omarosa already has a fully signed Non-Disclosure Agreement!" 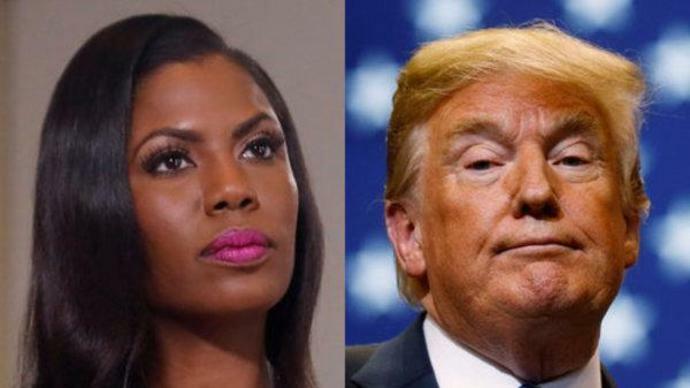 Trump tweeted on Monday as former White House senior aide Omarosa Manigault Newman unleashed a full-throttle media tour to tout her controversial tell-all book, Unhinged. This has included the release of audio recordings she secretly made during her White House tenure, including one made in the building's Situation Room with chief of staff John Kelly. As the week has progressed, Manigault Newman is promising other recordings she made while talking with the president, his family and his staff. With his tweet, Trump has unwittingly corroborated the existence of these nondisclosure agreements (NDAs), breathing new life into the administration's controversial and potentially illegal use of them to muzzle federal government employees. Reports have surfaced depicting White House counsel Donald McGahn urging White House aides to sign the NDAs in early 2017. Given the hasty nature in which these NDAs were crafted, it would not be surprising if these gag orders run afoul of existing federal law. For the better part of five years, I worked as the spokesman and senior advisor for the House Committee on Oversight and Government Reform, which has primary jurisdiction of the federal government workforce. Since Trump came into office, the Oversight Committee is a shadow of what it was during the Obama years. These days, it seems the committee and its Republican members are more focused on protecting the president than on protecting government employees. But that was not always the case. In 2012, Congress unanimously passed the Whistleblower Protection Enhancement Act (WPEA), introduced by the Oversight Committee leadership, to prohibit agencies from implementing or enforcing "any non-disclosure policy, form or agreement" that did not specifically include the following language: "These provisions are consistent with and do not supersede, conflict with, or otherwise alter the employee obligations, rights or liabilities created by existing statute or Executive order relating to (1) classified information, (2) communications to Congress, (3) the presorting to an Inspector General of a violation of any law, rule or regulation, or mismanagement, a gross waste of funds, an abuse of authority, or a substantial and specific danger to public health or safety, or (4) any other whistleblower protection…"
Simply put, it is illegal for anyone in the Trump administration to impose a nondisclosure agreement on a member of the federal government that in any way limits that person's ability to communicate with Congress and expose waste, fraud, abuse and mismanagement. Once this bill was signed into law, the federal Office of Special Counsel issued a direct guidance that "this statement should be incorporated into every nondisclosure policy, form or agreement used by any agency." If the Trump administration failed to incorporate this language in nondisclosure agreements, they are in clear violation of the Whistleblower Protection Act. And it's not the first time the Trump administration has broken the law on this front. Cabinet-level departments have continuously failed to comply with the Whistleblower Protection Act. Just this week, the inspector general for the Department of Homeland Security released a report finding that "many of the settlement agreement templates and settlement agreements we reviewed included provisions that might constrain an individual from reporting fraud, waste, or abuse to permissible recipients… most did not contain the WPEA statement… in addition, omitting the WPEA statement runs counter to fostering an open and transparent environment that welcomes disclosures and protects whistleblowers." This is the second time this year that the inspector general has found evidence of the Trump administration enacting policies to inhibit whistleblowers from communicating their concerns to Congress. These illegal NDAs make it incredibly difficult and risky for whistleblowers from within this administration to inform Congress and the American people about any illegal, unethical and shady activities they witness. I can tell you firsthand that investigations like "Operation Fast & Furious" and "Benghazi" that Trump-supporters and Republicans in Congress championed for years would not have been possible without whistleblowers coming forward to express their concerns. Trump and his alleged NDAs essentially make it impossible for them to help "drain the swamp," and they allow him to continue to operate with impunity while tweeting about it for all to see. We need whistleblowers to hold our executive branch accountable and we need to do a better job of protecting them. For more than a year, Democrats on the Oversight Committee have been working to expose the illegal nature of the Trump administration's NDAs. They have sent inquiries to the White House counsel and asked for Republican Chairman Trey Gowdy to issue subpoenas. Republicans have repeatedly blocked their efforts. These are the same Republicans who, when Barack Obama was president, crafted a "mission statement" declaring that they "will work tirelessly, in partnership with citizen-watchdogs, to deliver the facts to the American people and bring genuine reform to the federal bureaucracy." Republicans on the Oversight Committee seem to spend all their time trying to obstruct any effort to question the illegal actions of the Trump administration. They have betrayed the principles of open government and accountability they championed during the Obama years. Their failure to live up to the standards of transparency they demanded from the previous administration has enabled corruption and mismanagement to overrun the federal bureaucracy. Republicans are not doing Trump any favors by looking the other way in the face of blatant wrongdoing. If Democrats retake one or both chambers of Congress in November, Trump and his entire administration will be subject to an unparalleled level of congressional scrutiny and oversight that could have a crippling effect on the rest of his presidency. Hearings will commence, subpoenas will be issued and the architects of these illegal nondisclosure agreements will be brought to account for their reckless actions.